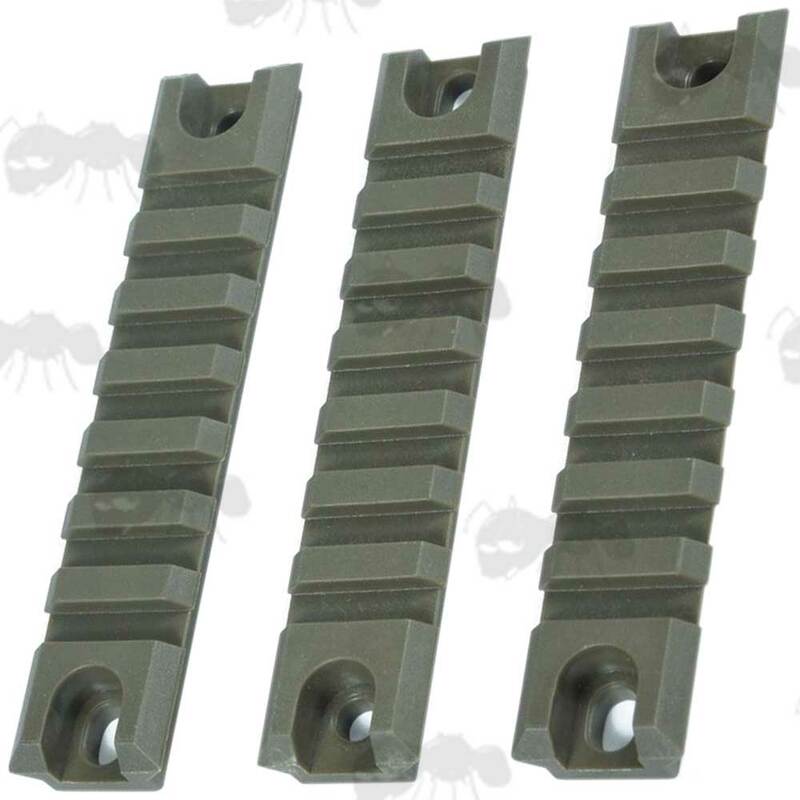 Also available ~ AR / M4 rails and HK416 rails. Next > Metal G36 rails. They accept picatinny and weaver attachments. Complete with the six fixing bolts. Each rail weighs 20 grams with bolts. 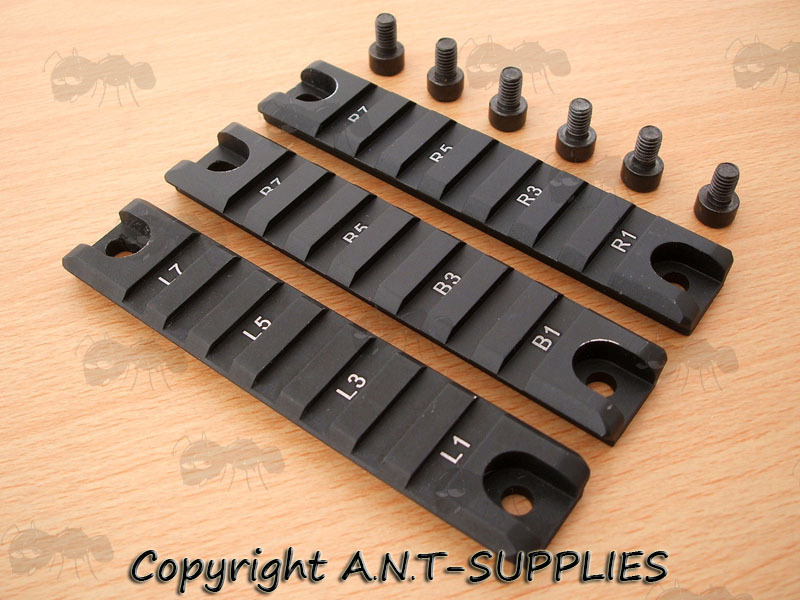 They are 3 7/8 inches / 99mm long overall, with distance of 79mm between the fixing holes. Although the end fixing hole is elongated for slight adjustment. 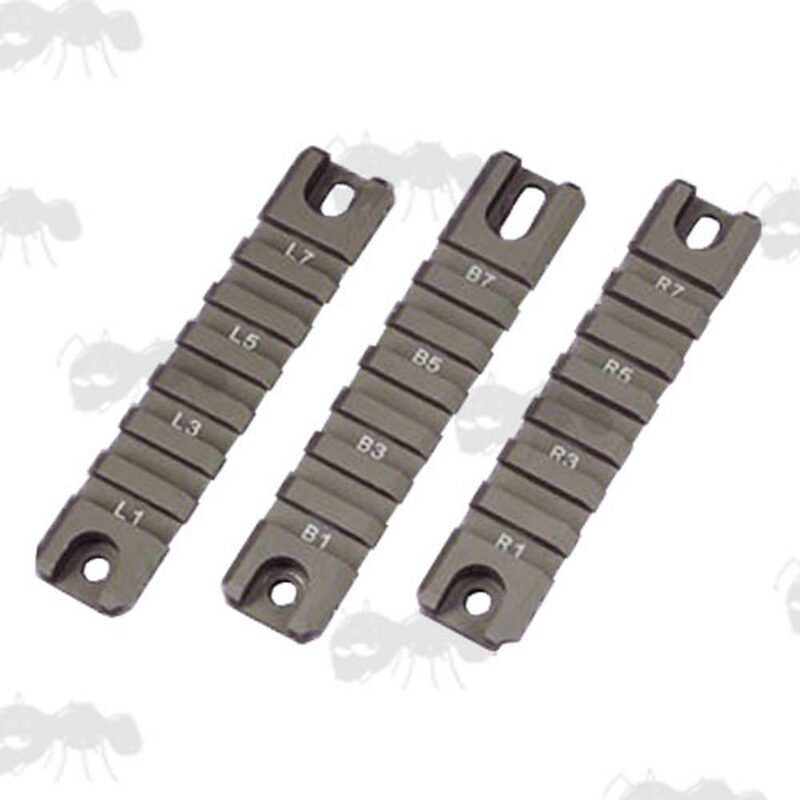 Short type set for G36, G36C, G3SAS, G36K, 552 etc. 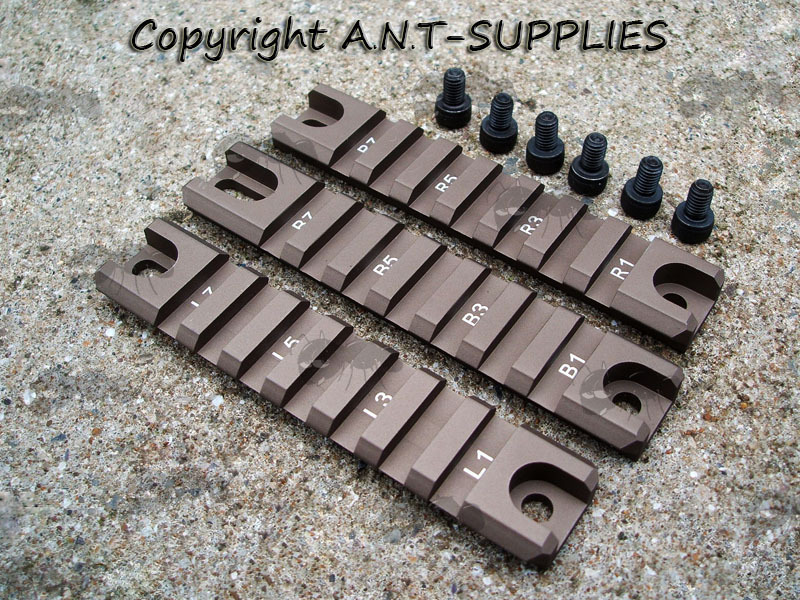 Also available ~ G36 end cap with sling swivel. 20mm picatinny rails that accept picatinny and weaver mounts. 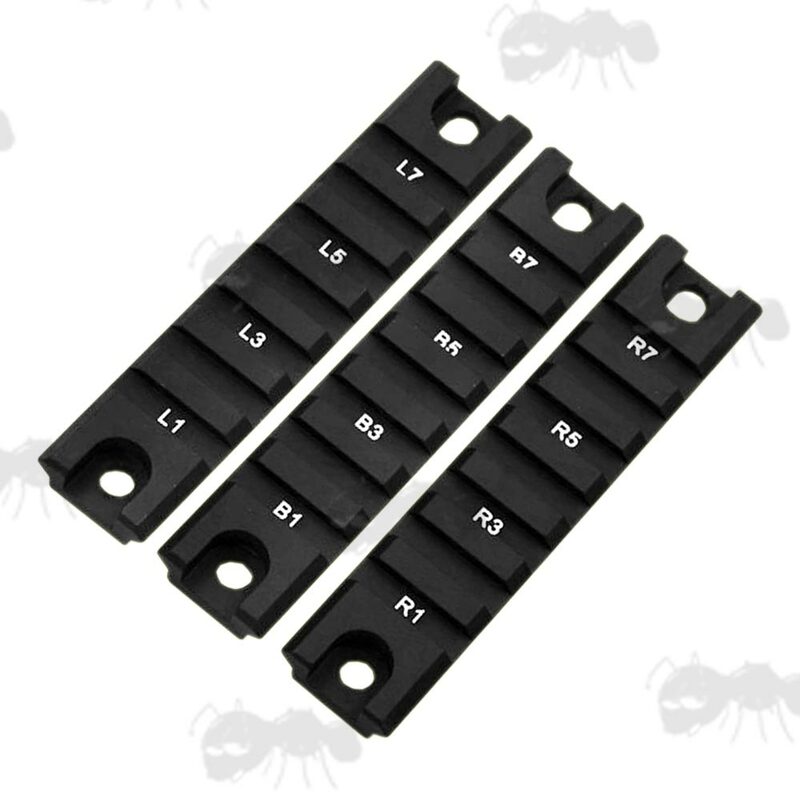 Superior build CNC machined, short type set for G36, G36C, G3SAS, 552 etc. 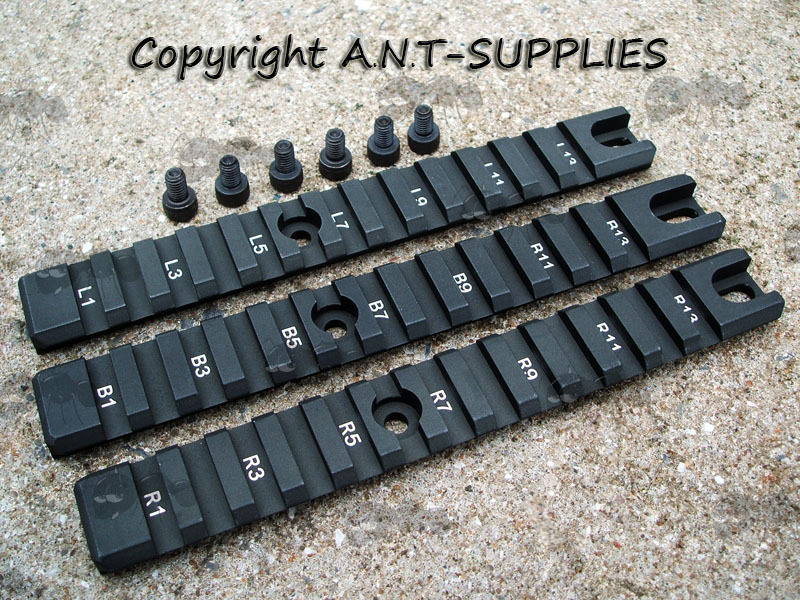 The left and right short rails are 3 7/8 inches / 99mm long overall. The left and right long rails are 6.25 inches / 156mm long overall. 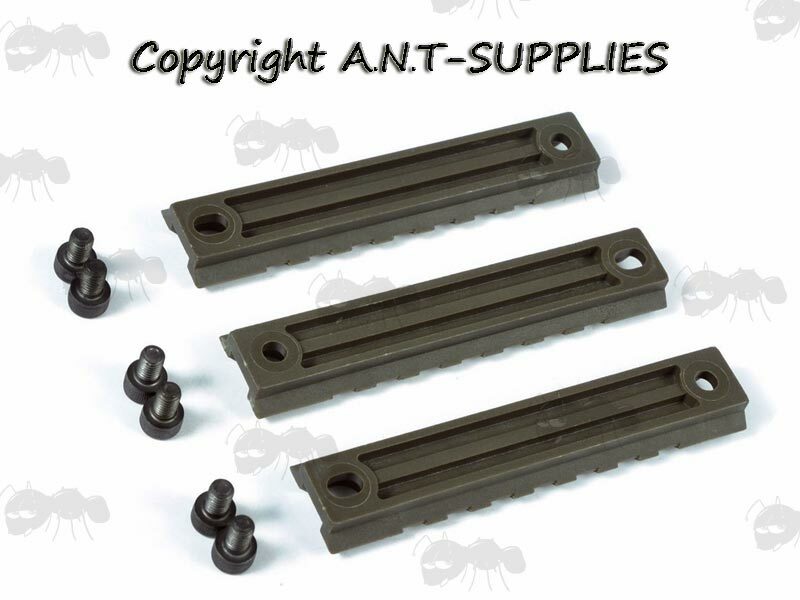 The base rails in the three piece sets are approx 5mm longer. 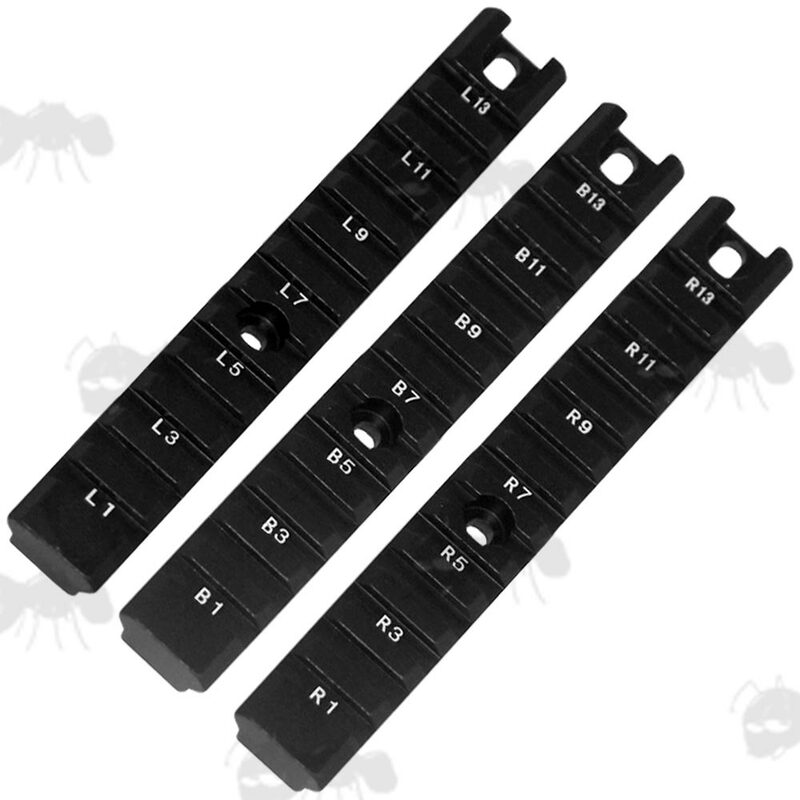 The short rails have a distance of 79mm between the fixing holes. 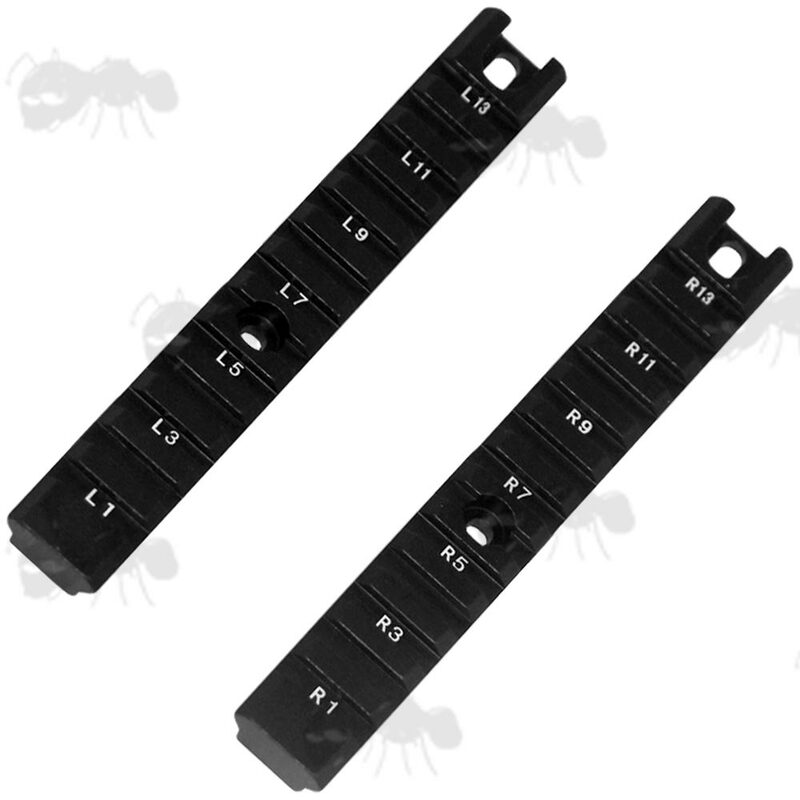 The long rails have a distance of 77mm between the fixing holes.